As sportsmen and women we are often criticized if we hunt trophy class bulls and bucks by anti-hunters. But what about the majority of hunters who hunt for the meat? 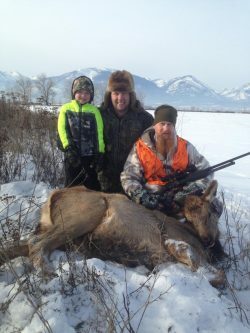 When we hunt for meat we also help keep elk out of rachers hay and let’s face it, the tastiest vittles don’t come with massive antlers. We as hunters who feed our families with fresh “organic” meat don’t celebrate enough – at least I don’t think so. Recently I went on a hunt where elk were feeding along a ditch and we watched them bed down. Lance Jones slipped in along the top of the ditch amidst brush until he was within shotgun range. A well placed shot put an elk down and tasty elk meat is being served at his house because of it. It wasn’t an adventurous hunt nor did it yield a trophy photo or “horns” on the wall. But the hunt did yield a bunch of meat taken honestly and ethically with friends. Isn’t that what most of us do? 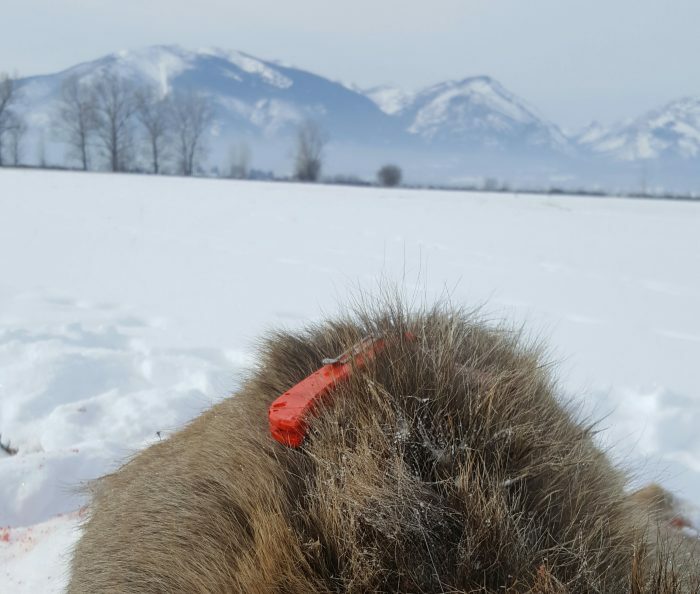 Here’s to real Montana meat hunts, good friends and the under-celebrated outdoors experience every true hunter loves!